The Goldendoodle is the happy-go-lucky cross between a Golden Retriever and a Poodle. Also known as the Groodle, Goldendoodles can vary in size depending on their parent Poodle. A mini Goldendoodle, also called a toy Goldendoodle, can weigh as little as 15 pounds, while a standard Goldendoodle may weigh as much as 100 pounds! Goldendoodle dogs have three coat types: straight, wavy, and curly. Some Goldendoodle puppies have straight coats when theyre young, which becomes curly as they grow older. Their coat color can vary: the red Goldendoodle has cinnamon-colored fur, while the black Goldendoodle looks like a small black bear! Common coat colors also include white, cream, gold, gray and black, and sandy brown, among others. 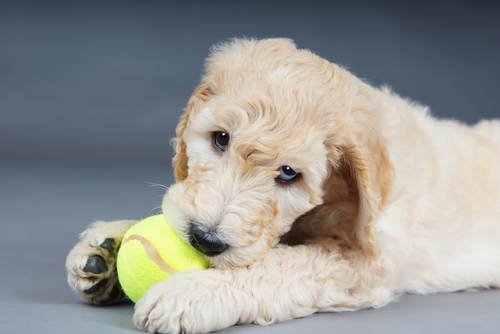 Theyre endearing, friendly, and social, so its easy to socialize your Goldendoodle puppy. 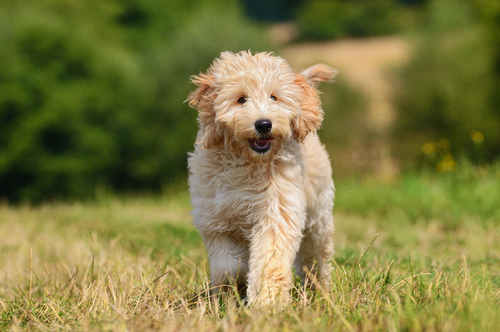 Because they tend to have a playful, mischievous streak, you should take your Goldendoodle on long walks in order to manage their energy levels. Like their Golden Retriever parents, the Goldendoodle is an intelligent breed that should receive plenty of mental stimulation playtime is essential, and a Goldendoodle is happiest with a secure, fenced-in yard to roam around and play. Goldendoodles can suffer from separation anxiety, so give your pup plenty of companionship Goldendoodles love people almost as much as they love to swim! 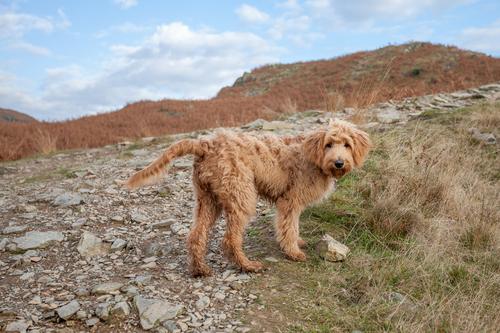 If you leave your Goldendoodles coat in its natural state, brush it every one to two weeks to ensure maximum coat health. 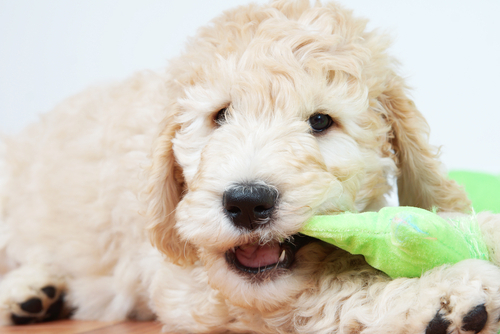 Like all pups, you should brush your Goldendoodles teeth at least two times per week to reduce tartar buildup, and their nails should be trimmed monthly if all that playtime doesnt naturally wear them down. In the 1990s, breeders began crossing Golden Retrievers with Poodles. 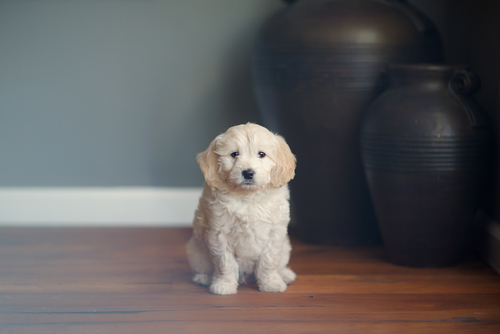 This hybrid is relatively new on the designer dog breed scene, which means that most Goldendoodle breeders are still creating first-generation puppies between Golden Retrievers and Poodles, as opposed to crossing Goldendoodle parents.